Running a dance studio requires one to wear many different hats. An owner must look out for the students, offer great training, gather together a good group of faculty and staff, and organize recitals and performances. But studio owners also have to be business savvy – deal with tuition, registration, scheduling and billing, all of which require time, money and a decent organization system. And who doesn’t want to save a bit of time and money, and to do things more efficiently? Enter Studio Pulse. This new software is designed to help studio owners with their billing, accounting, class organization, attendance, client emails and more – all to streamline and make owners’ jobs easier. 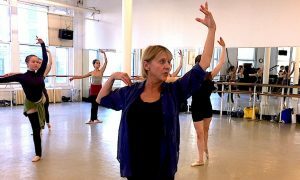 Studio Pulse came to be because the Joffrey Ballet School was in need of a program with which to run the school and wasn’t happy with other companies on the market. Currently, about 30 studios use Studio Pulse to grow their business and to do so in a most efficient way. Studio Pulse allows studios to keep track of class lists and students’ attendance in a much more concise way than large books of daily attendance sheets. 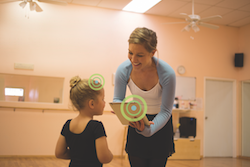 Joffrey Ballet School, for example, uses iPads to take attendance and even automatically generates an email or text to parents notifying them of their dancer’s absence. The Studio Pulse program can track faculty members’ attendance and link it to payroll, and can eliminate any chance of human error. This job alone may normally require several hours a week of the studio owner or staff’s time. With Studio Pulse, however, that time can be better directed to teaching or maintaining the more artistic aspects of running a studio. 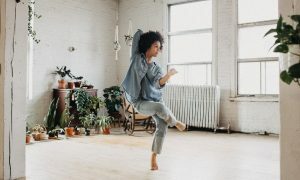 Perhaps one of the most important features is that Studio Pulse allows clients to register for classes on a studio’s website and it also bills them automatically each month, depending on the studio’s payment plan. This means no late dues! And Studio Pulse is so accessible and easy to use that, should a studio owner need to adjust something or add a discount, he/she can log in at any time and override anything that’s been done. Studio Pulse also acts as the “collector”, so studio staff members don’t have to feel bad about nagging parents for late payments. Even drop-in students are able to use this feature when they choose to take class. Guerra mentions that a new drop-in feature is soon to be added to the software so that these students can buy a bulk amount of classes online, drop in and take class when they want, and it is removed from their virtual card. 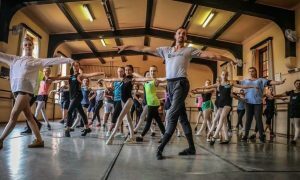 Over the next few months, Studio Pulse will also offer two new features: Recital and Costume Management, just in time for recital season; and Inventory Tracking, which will act like a store’s shopping cart for those studios with in-house dancewear stores. Even for those owners who may be technologically-tentative, Studio Pulse provides an easy-to-use, non-threatening program. And a 20-hour technical support is available for questions or assistance. Studio Pulse also offers a free trial so that studio owners can test out the software and its unique features before committing to the service. In general, Studio Pulse has the capabilities to save a studio owner, and the studio’s staff, time and money. “They’re going to collect more dues on time, more consistently, and they’re going to spend less time doing administrative work, like registering students, updating records, adding fees to accounts,” Guerra explains. To learn more about Studio Pulse, or to get a free trial, head to studio-pulse.com. Photos: All photos courtesy of Studio Pulse Software.